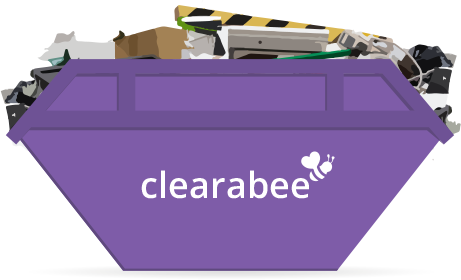 Skip Hire by Clearabee®. Book your skip online 24/7. Our skip hire service is an ideal solution for customers who need to keep waste on-site for a period of time, or the waste is heavy. Most of the skips we offer can be delivered on a next day basis with flexible removal. As the UK's largest in-house clearance company, we're also able to offer a 'man and van' style service too, which is often faster and more flexible. We've provided a cost comparison next to each skip where a comparable service is available. Please select the main waste type that will be going into your skip – this will allow us to display the most suitable skip alternatives for your waste. Please note some waste types such as hazardous waste including fridges, TV’s and monitors cannot generally go into a skip, so please contact us first so we can help. Skips are typically delivered on a next day basis or you can specify a different delivery date. For urgent clearances consider our skip hire alternative man and van service which is usually same day.